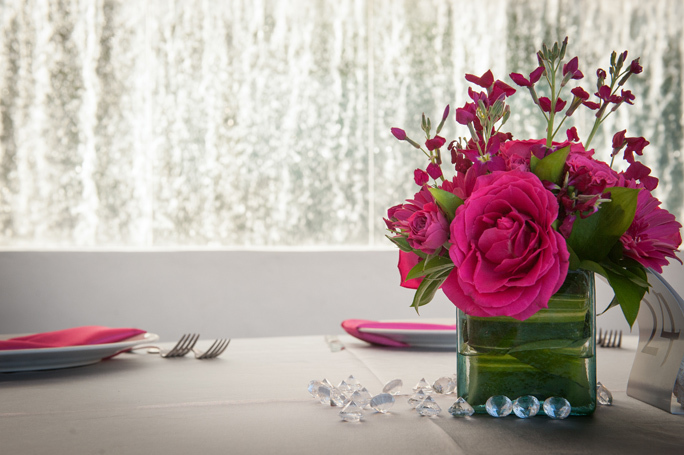 Beauty and perfection is in the details. 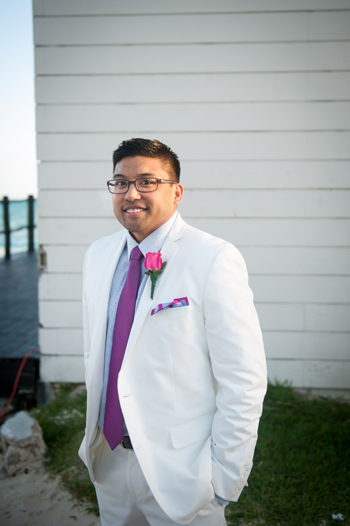 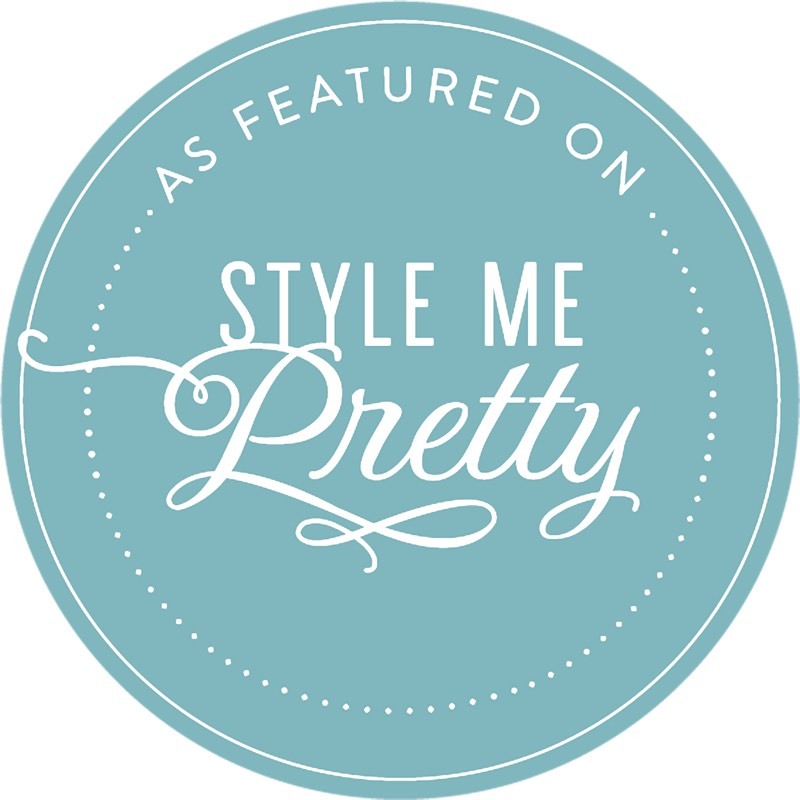 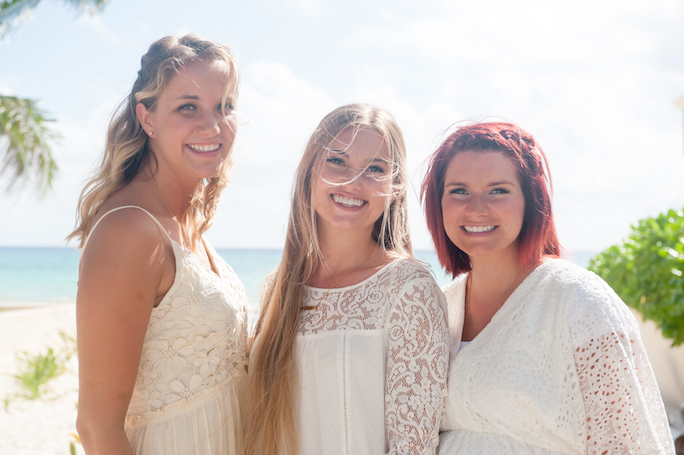 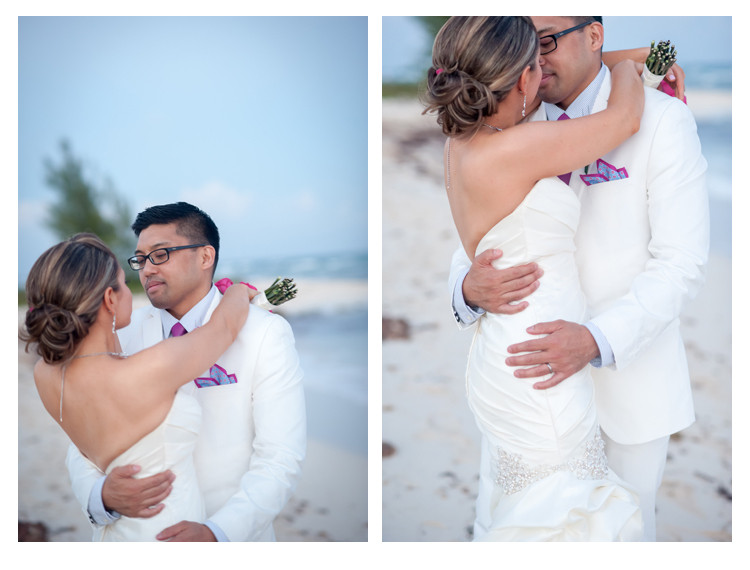 This is why I dedicate this entire blog post to getting ready part of Angelica and Daniel’s wedding… Part 1. 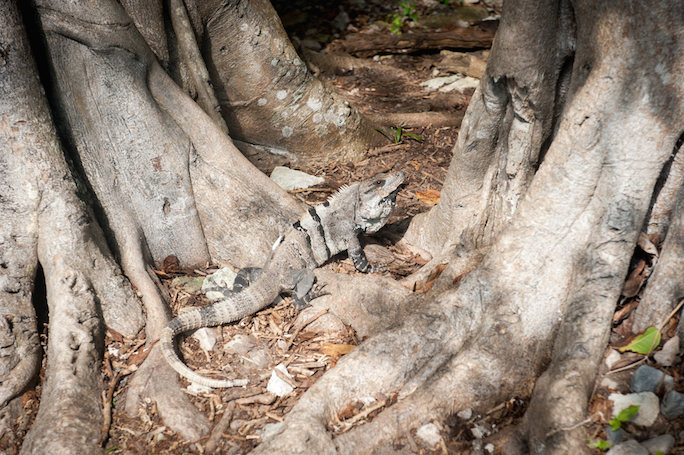 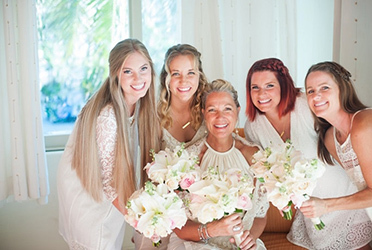 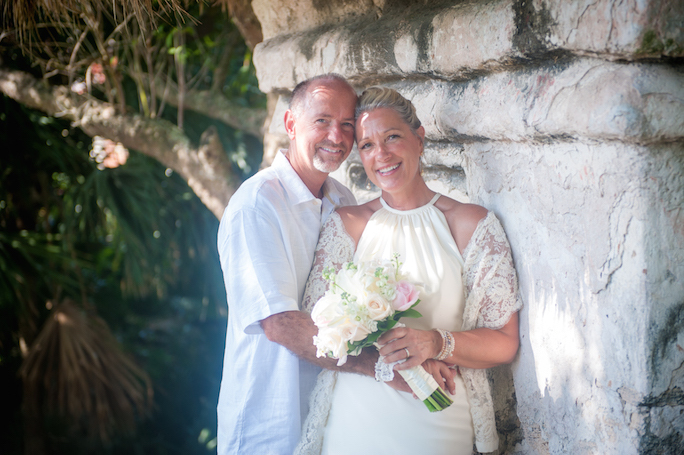 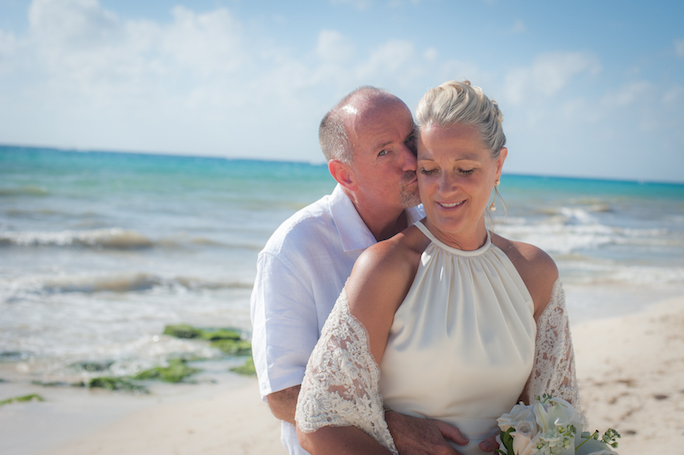 This is especially true for the destination weddings when the bride spends so much time choosing the right dress, shoes, jewelry, make up, hairstyle… All the emails and phone calls going back and forth with the wedding planner… All that work eventually pays off. 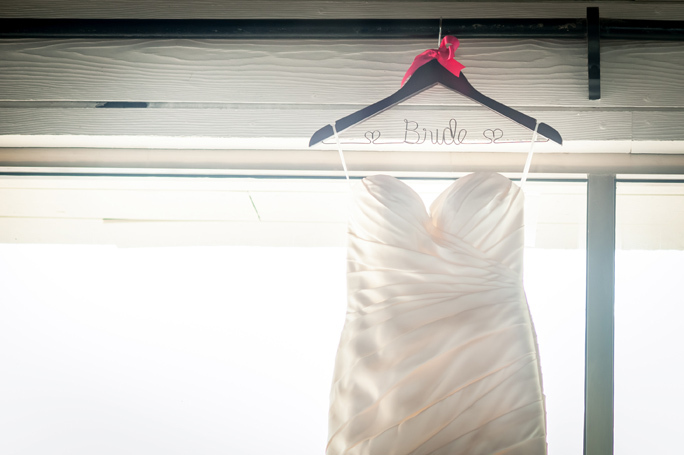 You will be happy to see all of it come together on your wedding day! 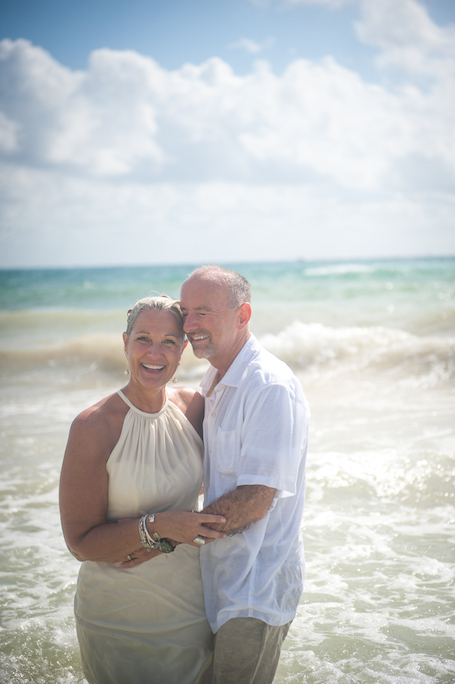 But than the moments are just that… fleeting moments. 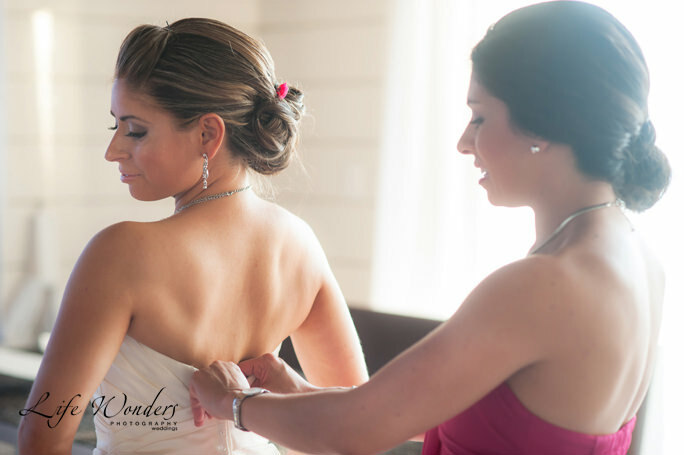 And I am there to make sure that days, months even years later you will look back at your pictures and remember all over again just how beautiful the details of your wedding were. 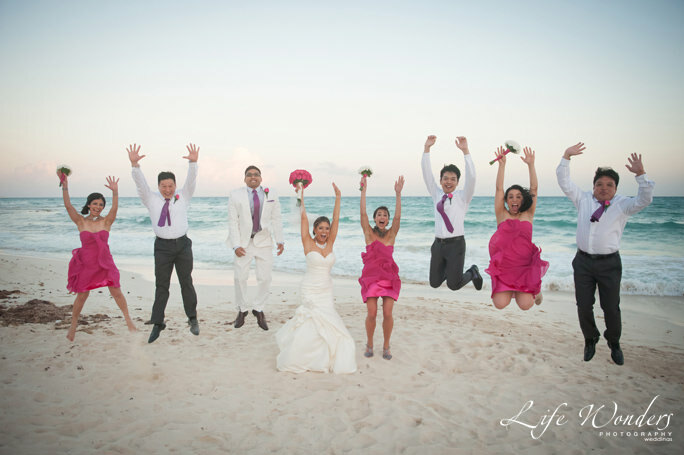 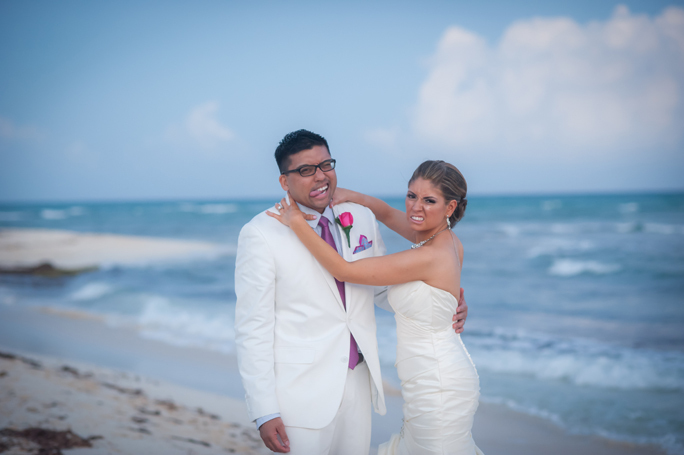 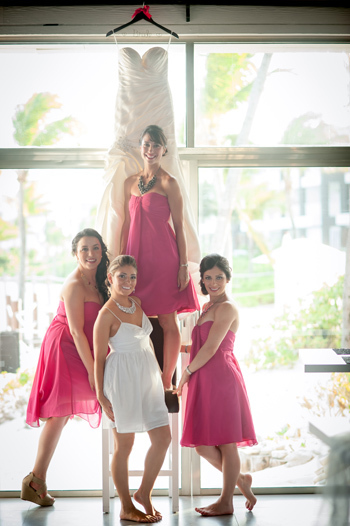 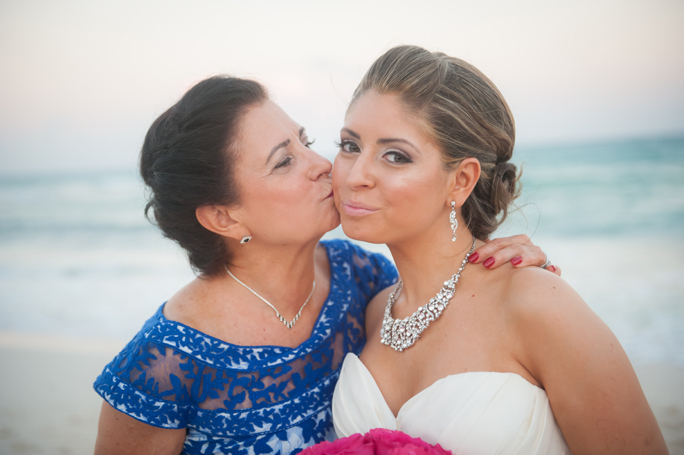 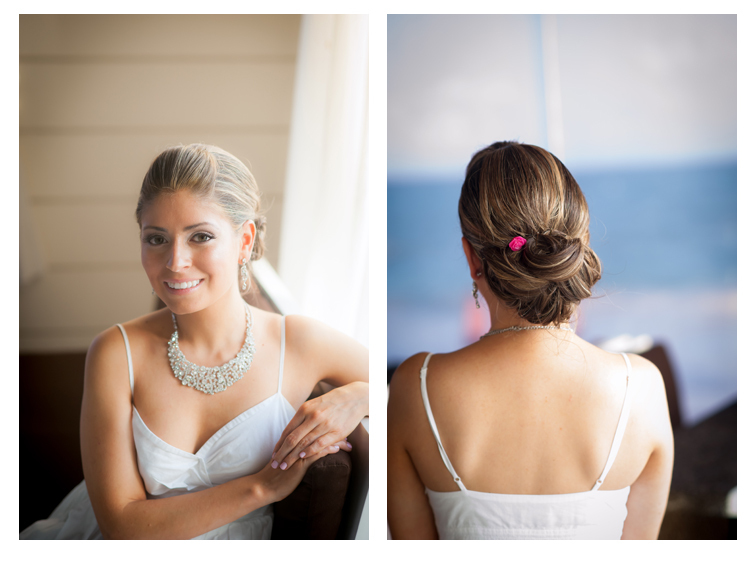 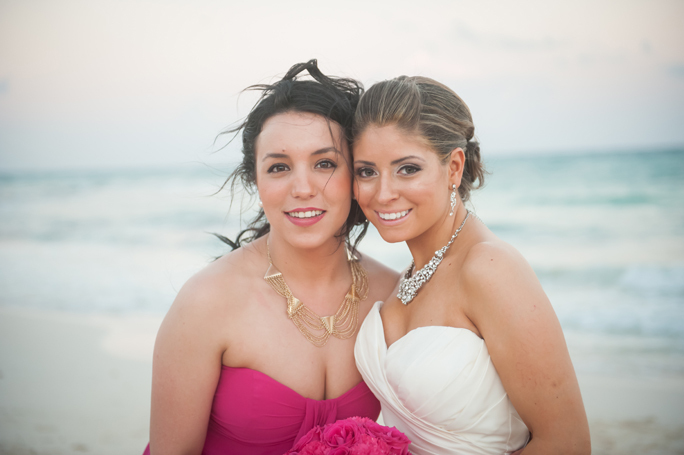 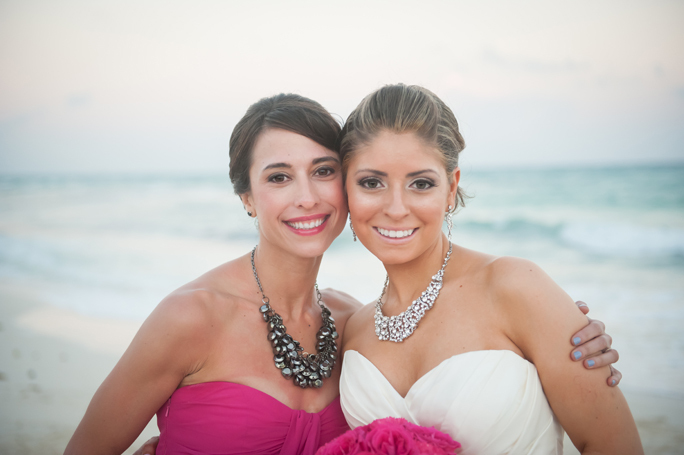 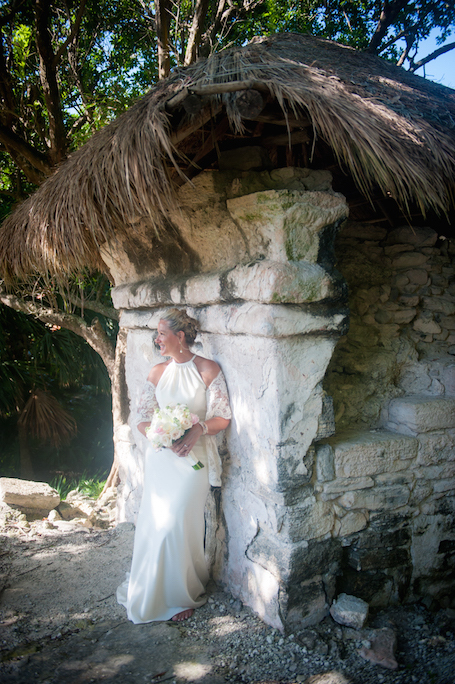 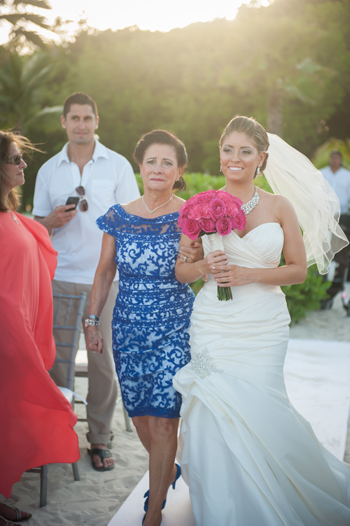 Here is Angelica, lovely bride from Houston, Texas getting ready at the Grand Coral Beach Club in Playa del Carmen. 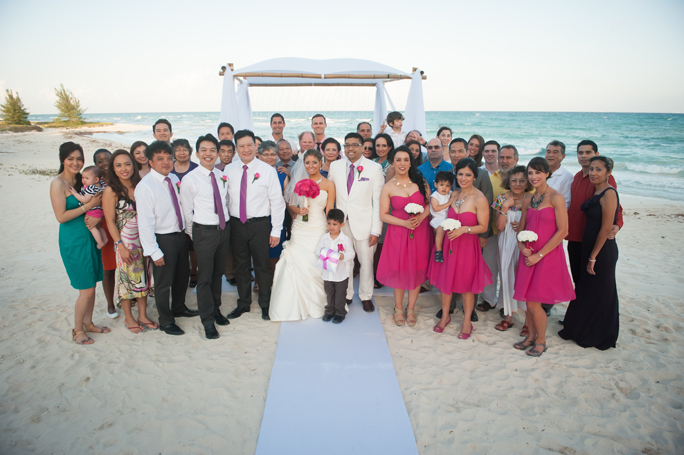 Her’s and Daniel’s family and friends traveled from all over the world to join them in the celebrations. 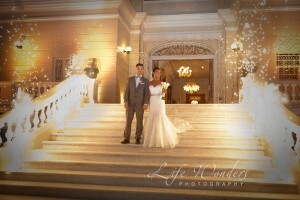 You can see the details were fabulous! 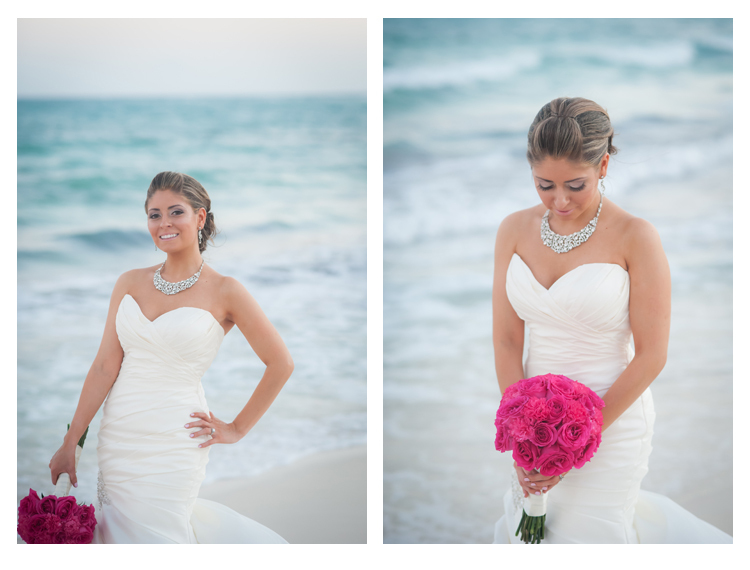 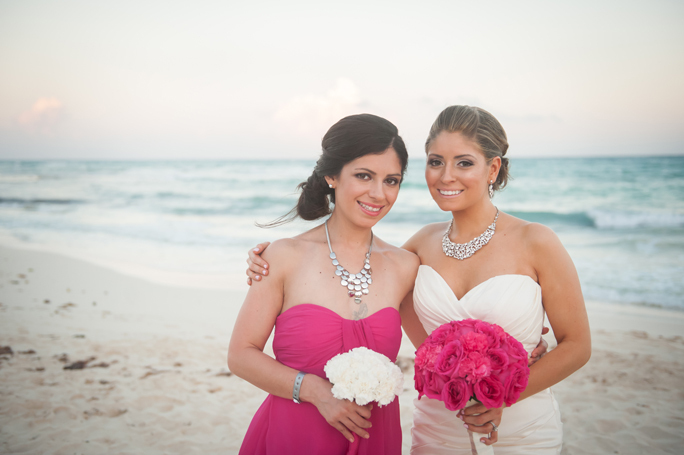 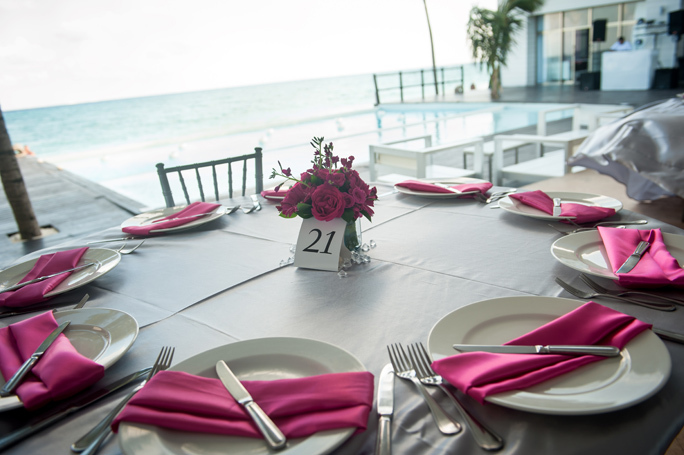 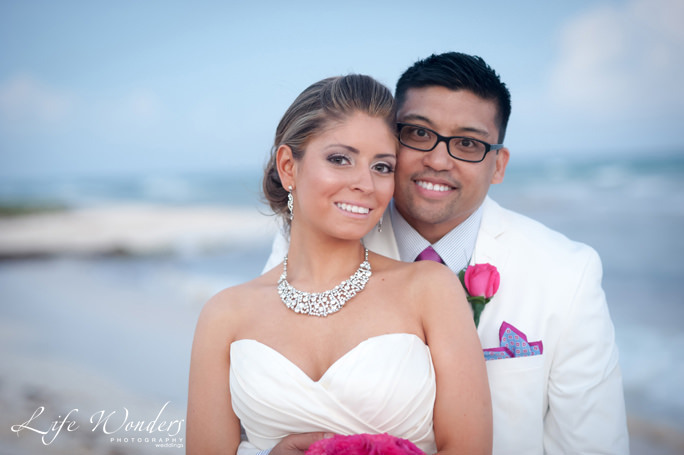 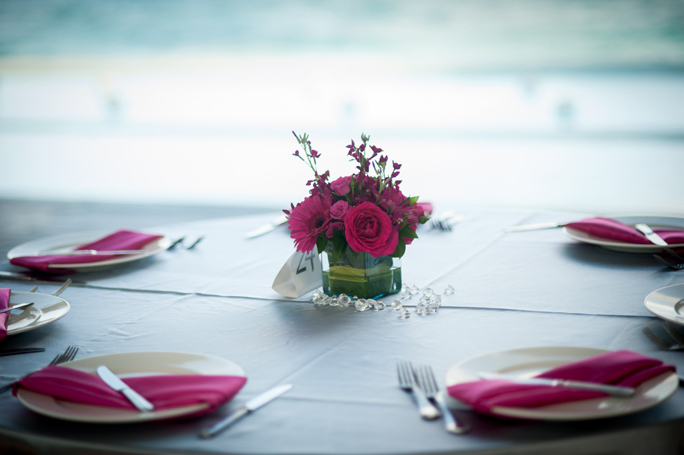 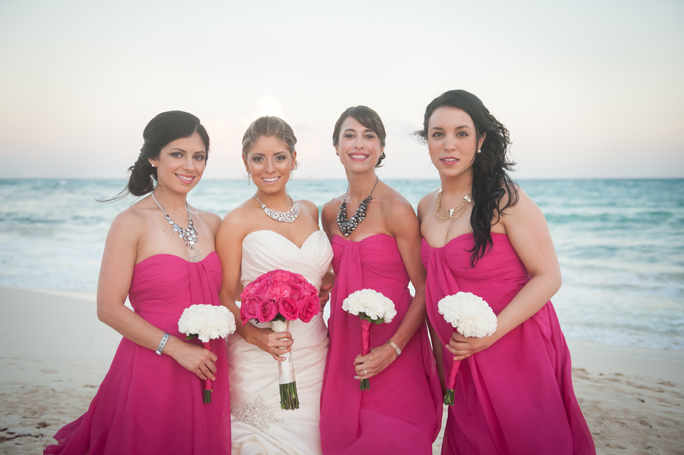 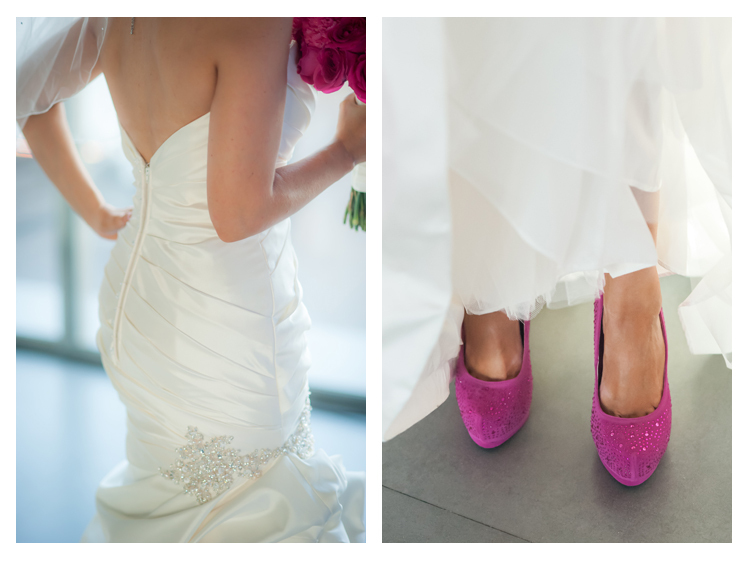 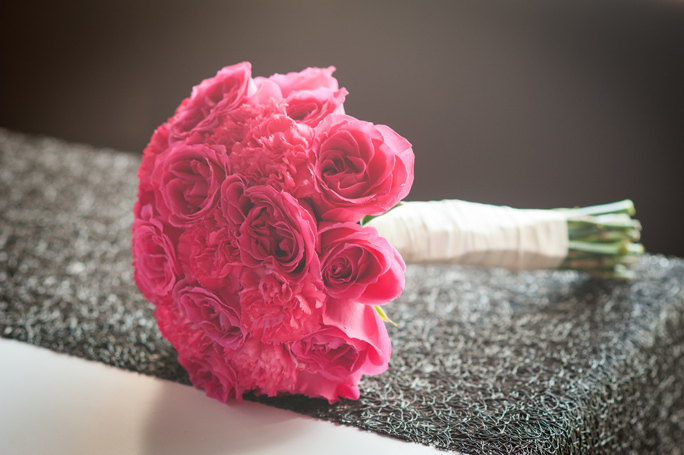 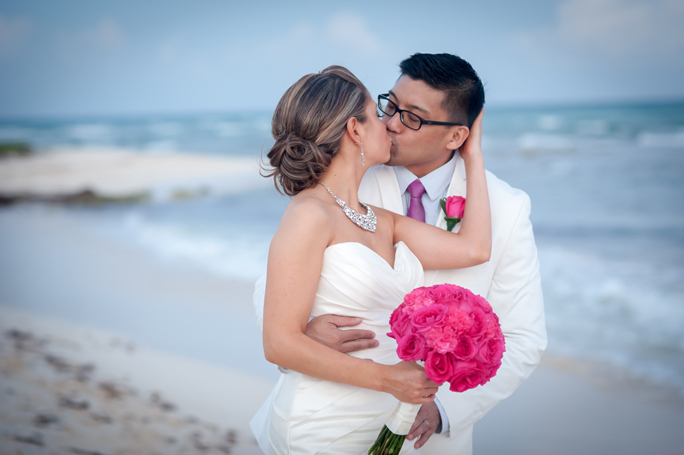 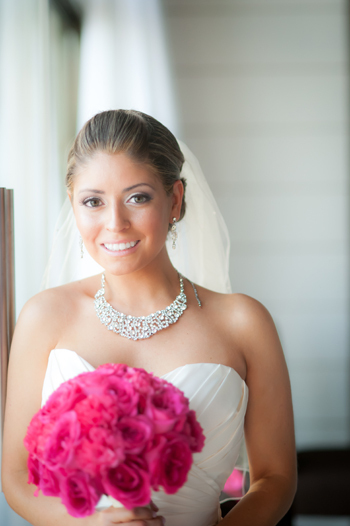 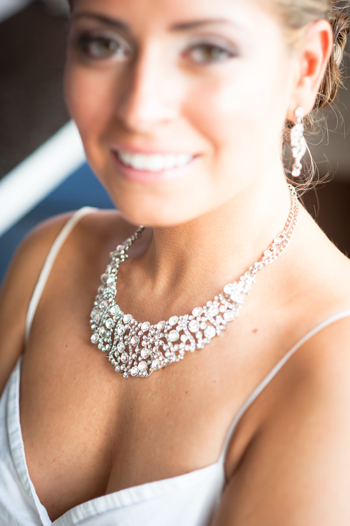 I adore the pink and silver colors that Angelica chose for the wedding. 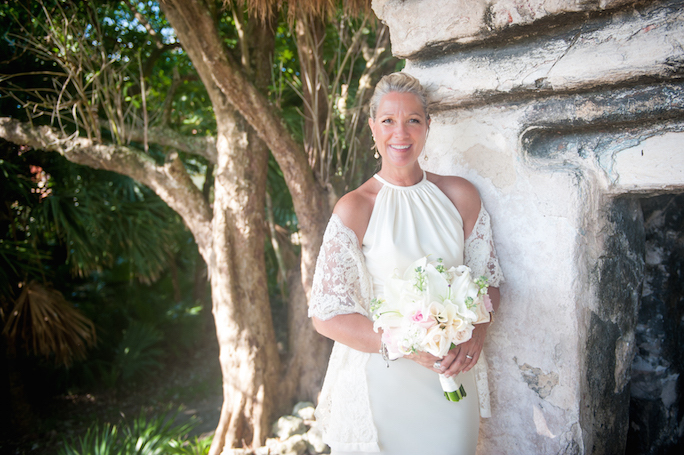 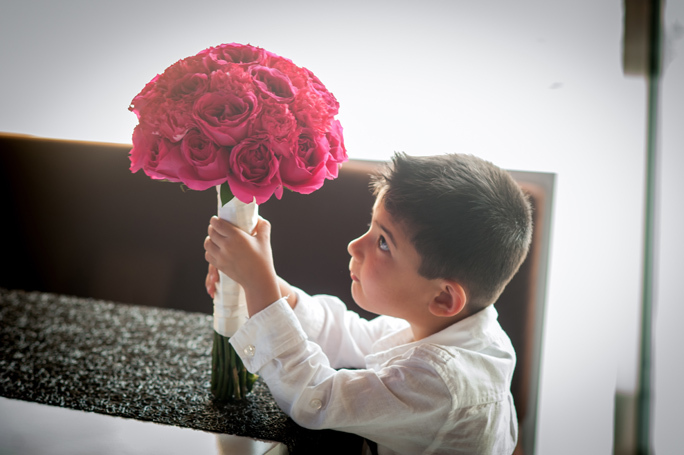 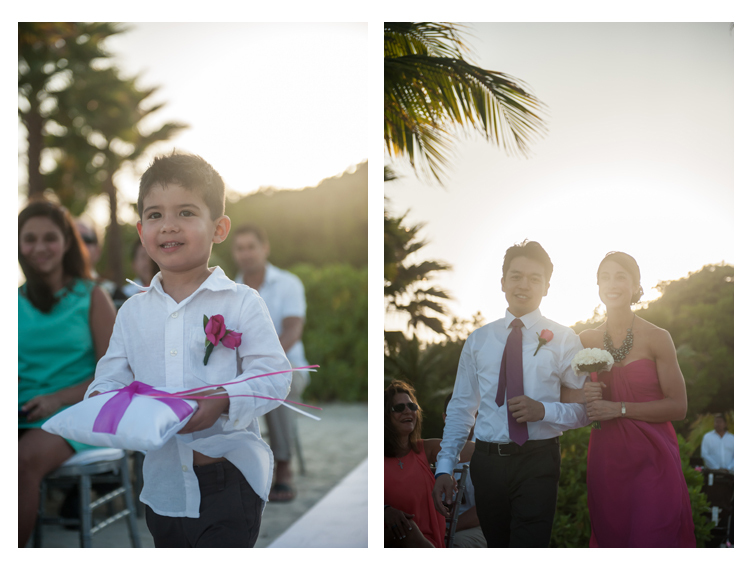 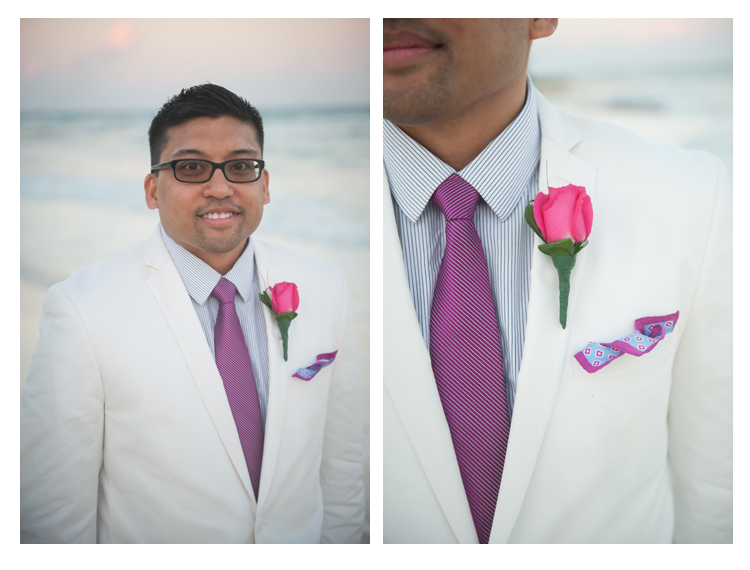 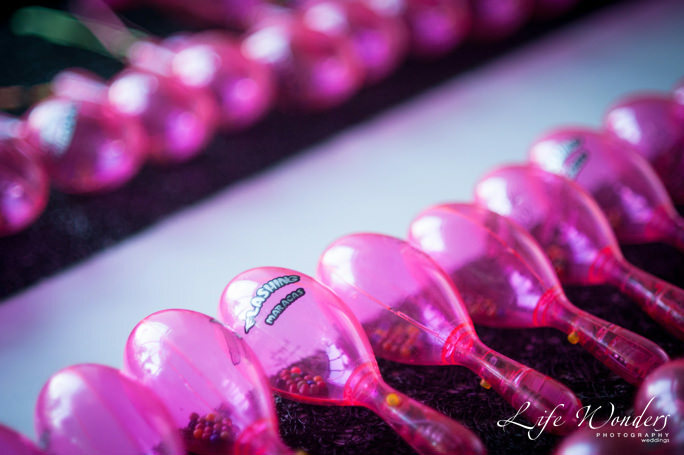 From the party favors to the groom’s boutonniere… all was beautiful coordinated by fabulous Erica Brassen from Weddings in Playa. 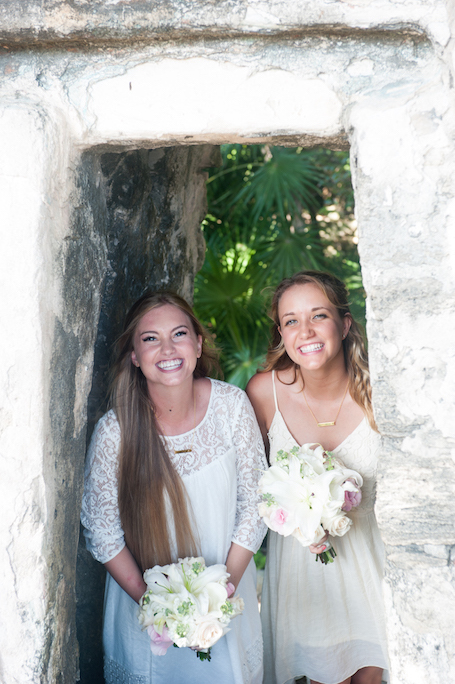 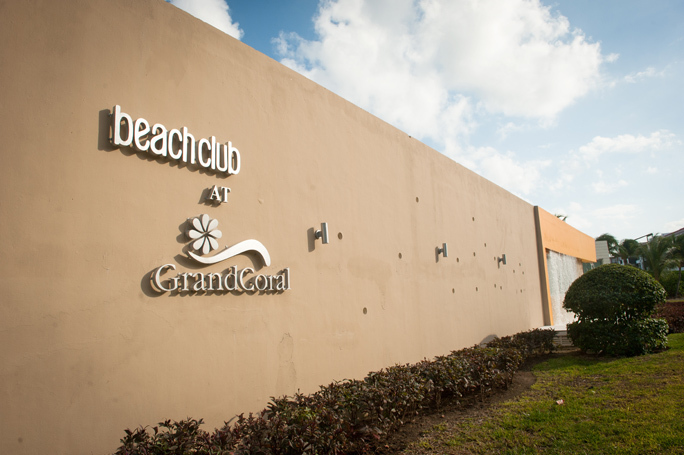 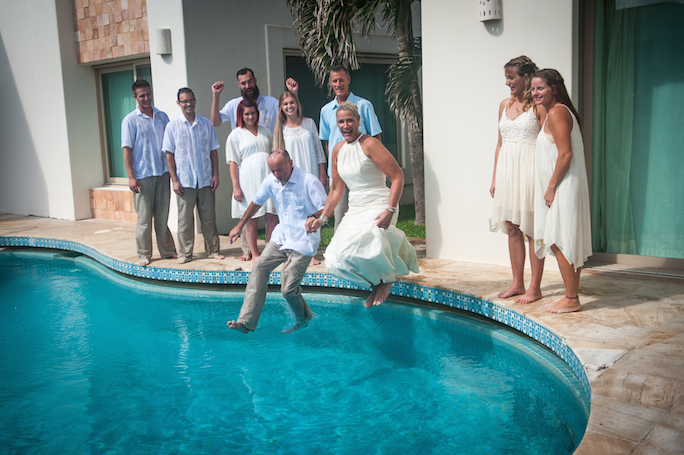 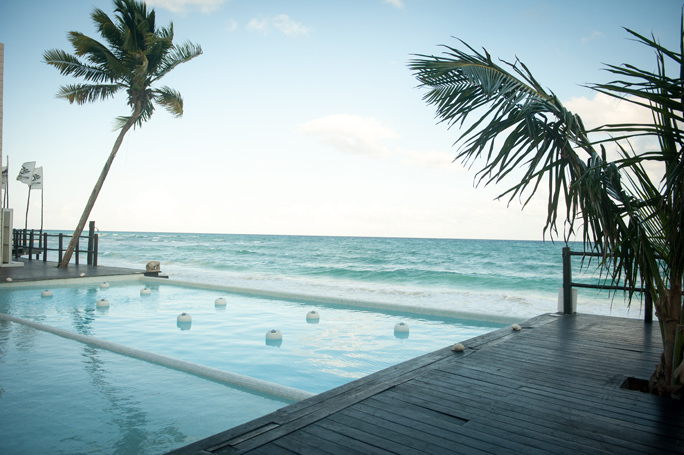 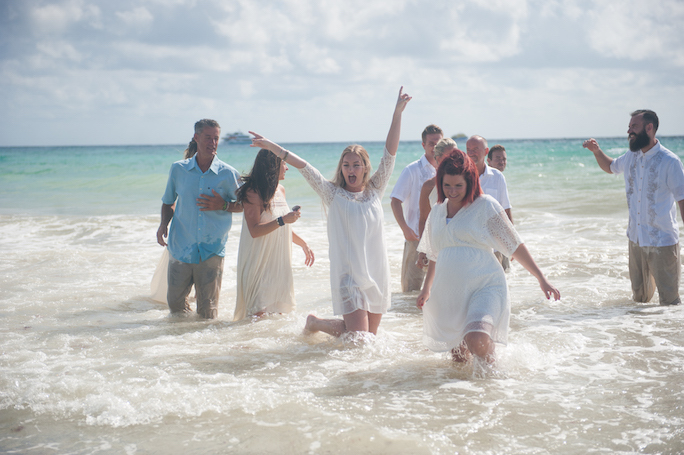 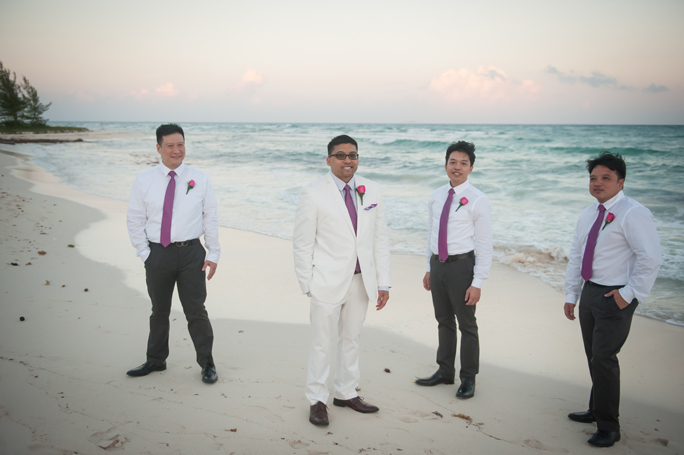 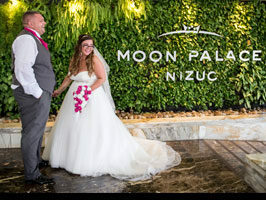 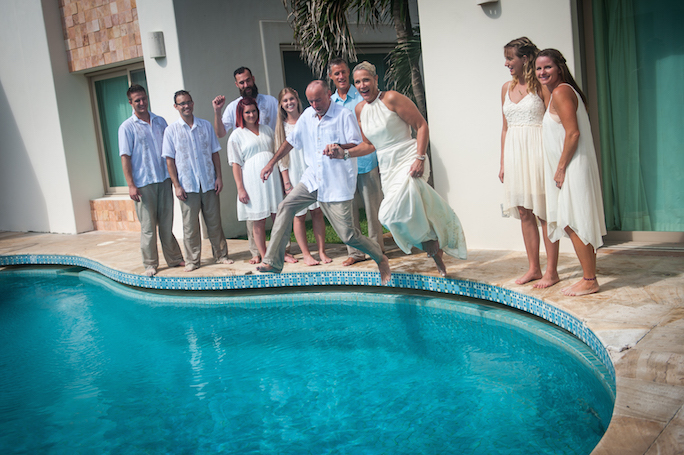 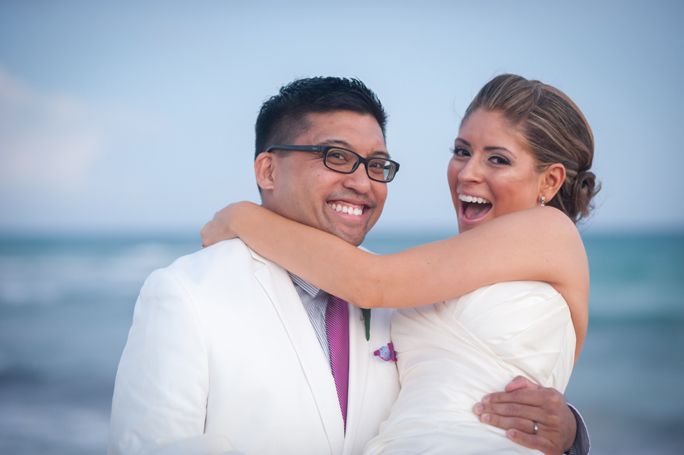 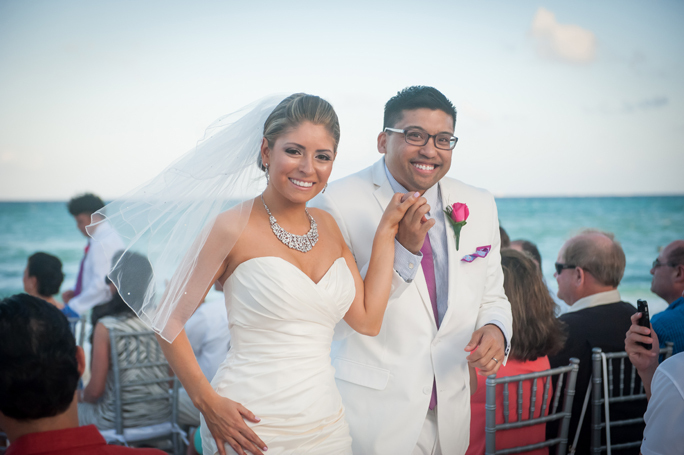 The wedding of Angelica and Daniel took place in this super fun, modern atmosphere of Grand Coral Beach Club in Playa del Carmen. 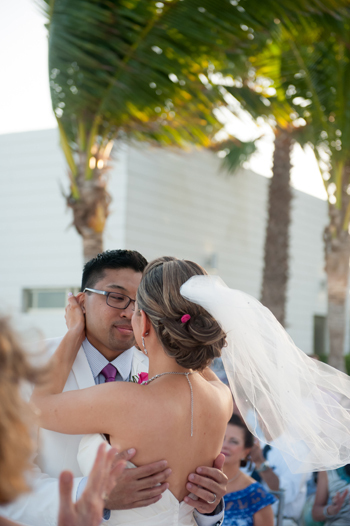 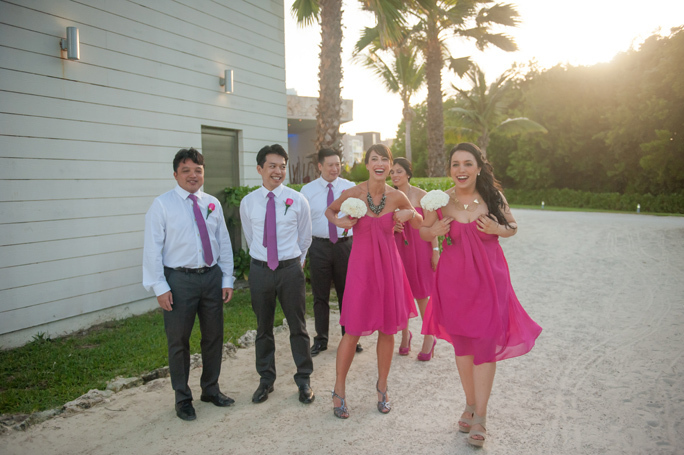 The space was just right for this lovely couple from Houston, Texas and their guests. 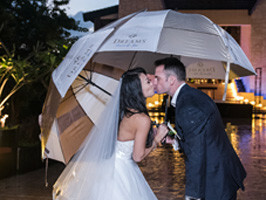 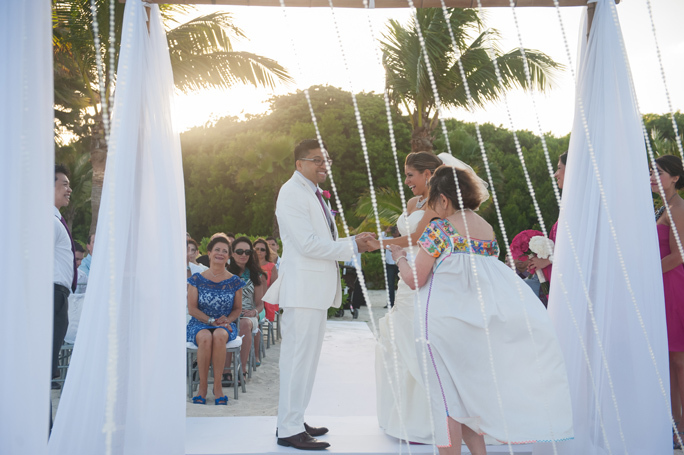 The ceremony was picture perfect! 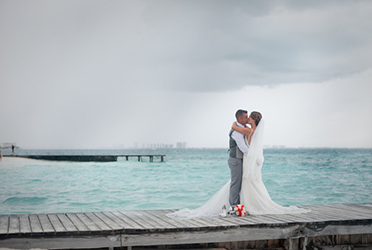 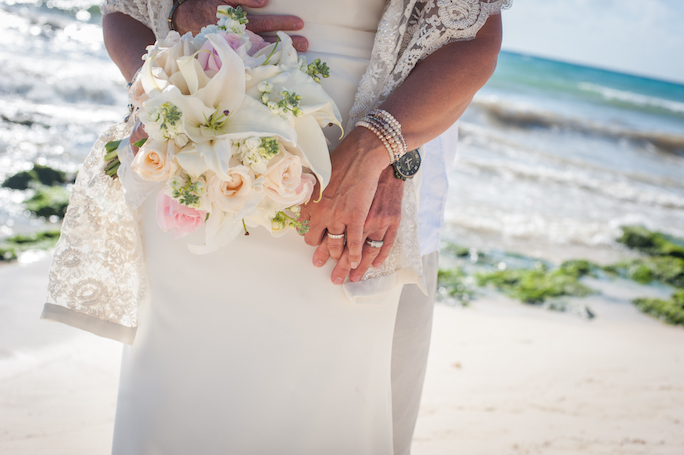 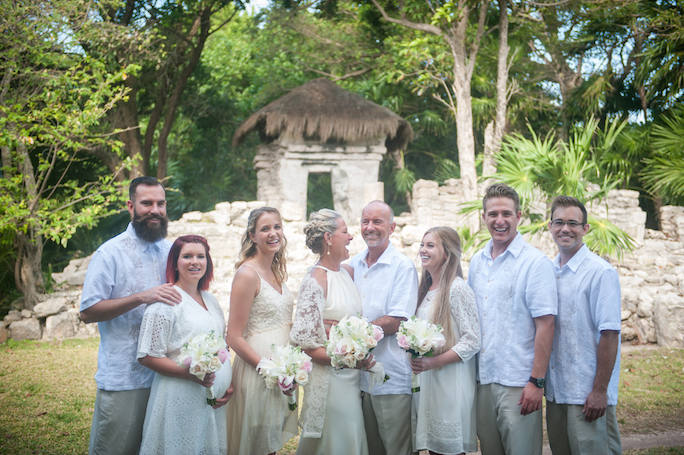 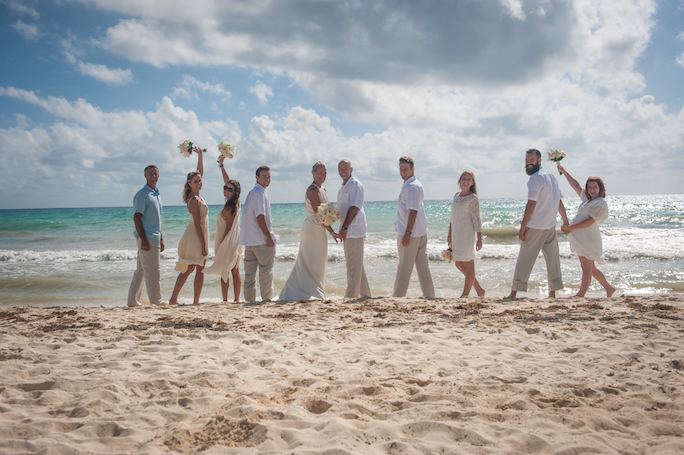 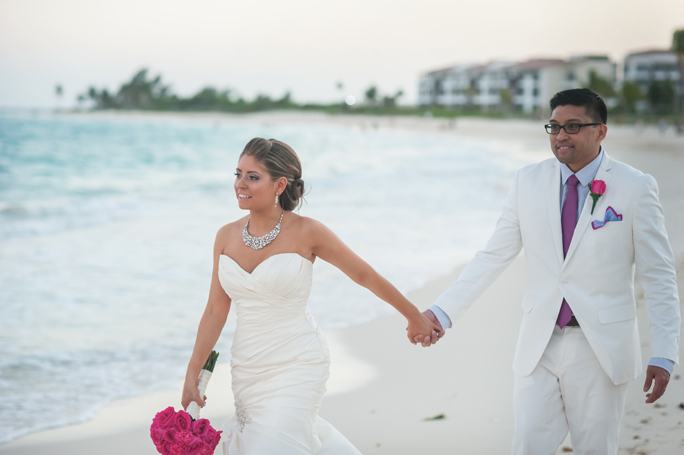 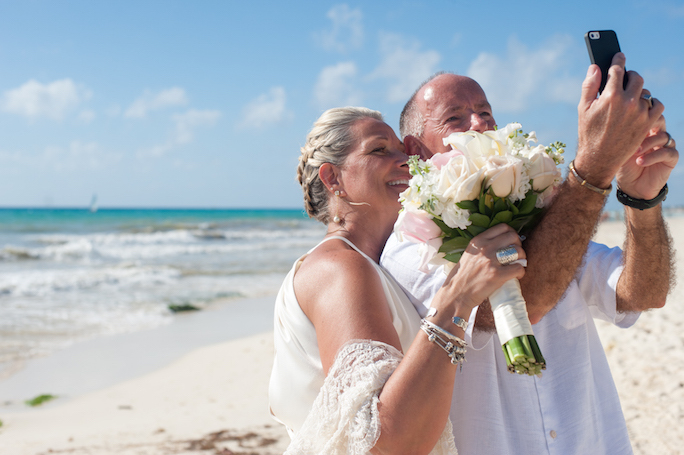 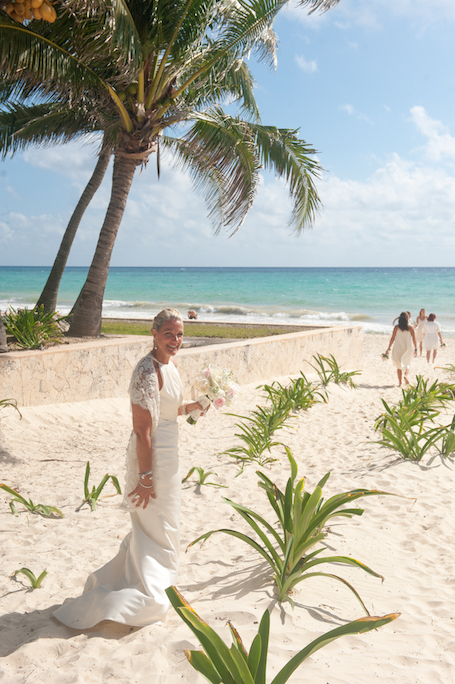 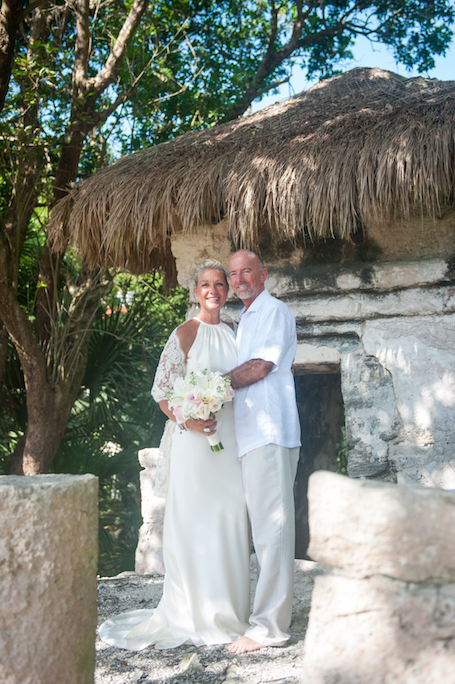 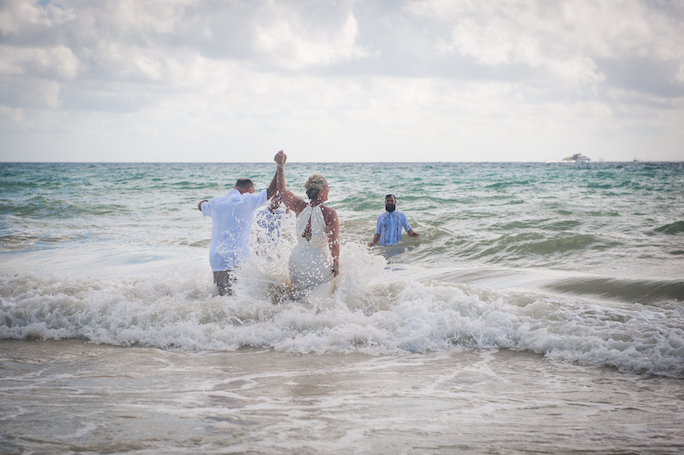 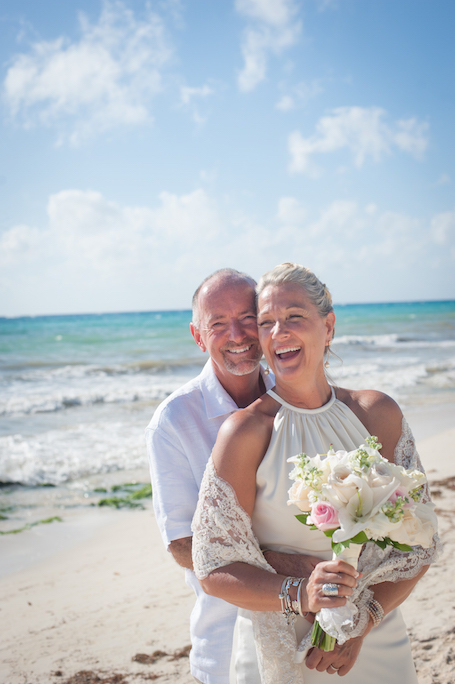 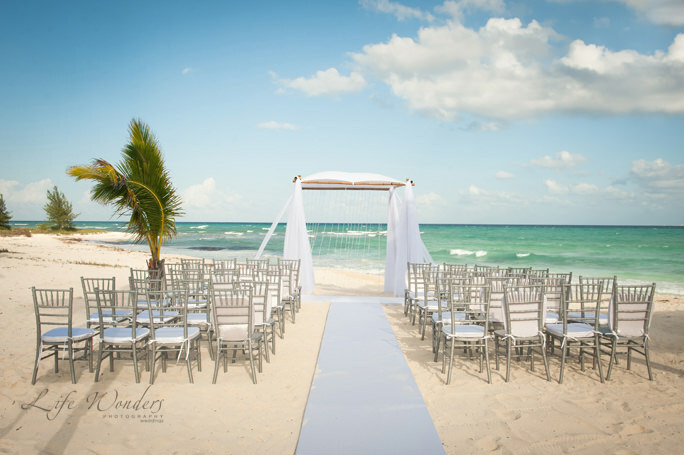 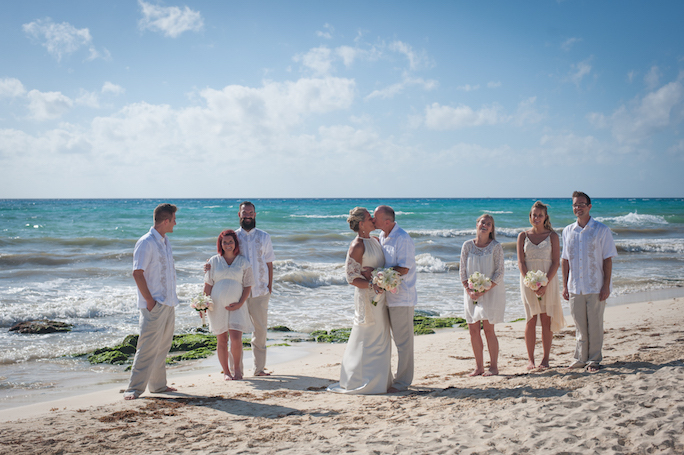 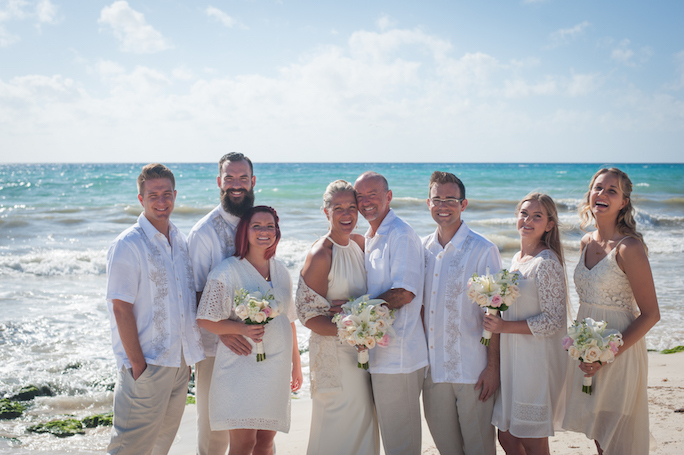 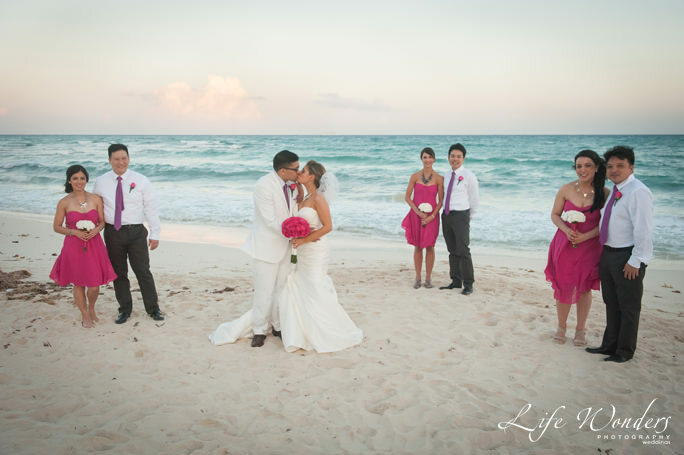 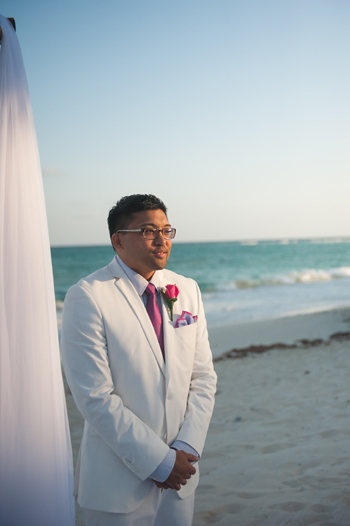 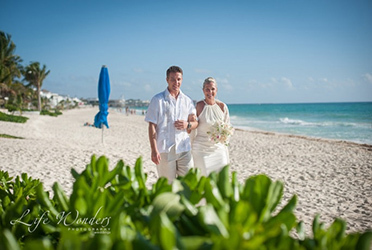 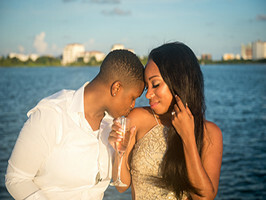 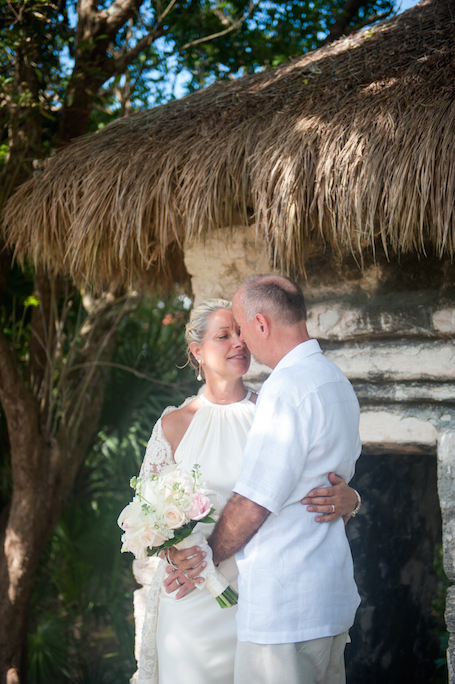 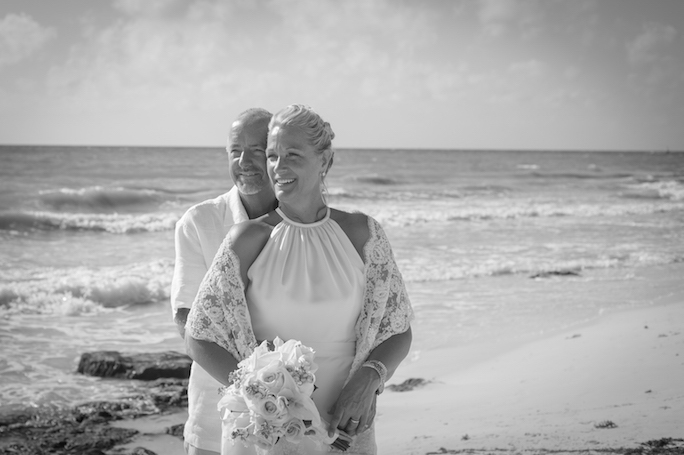 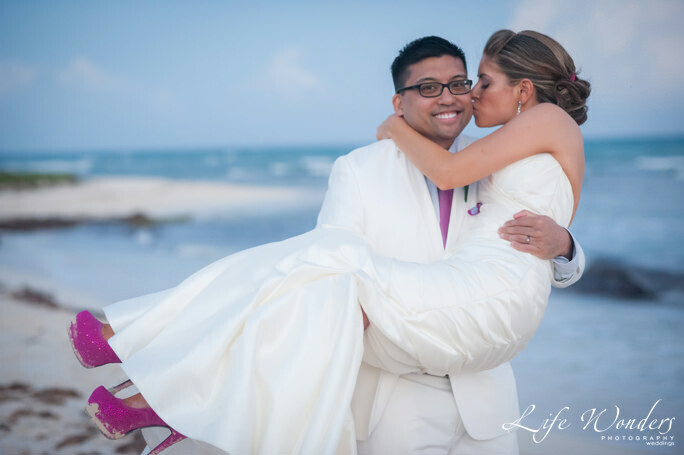 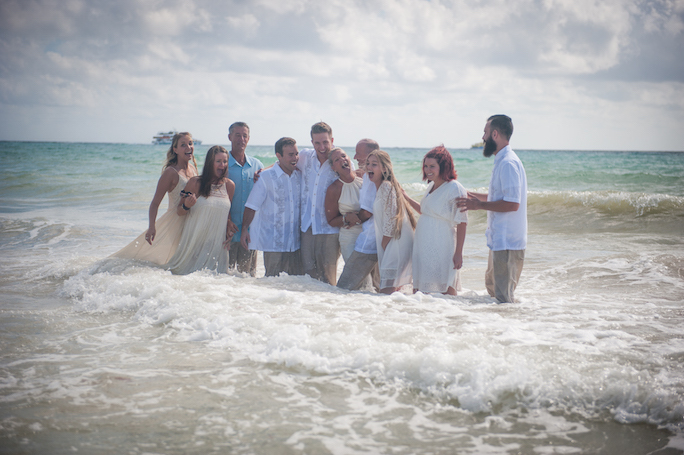 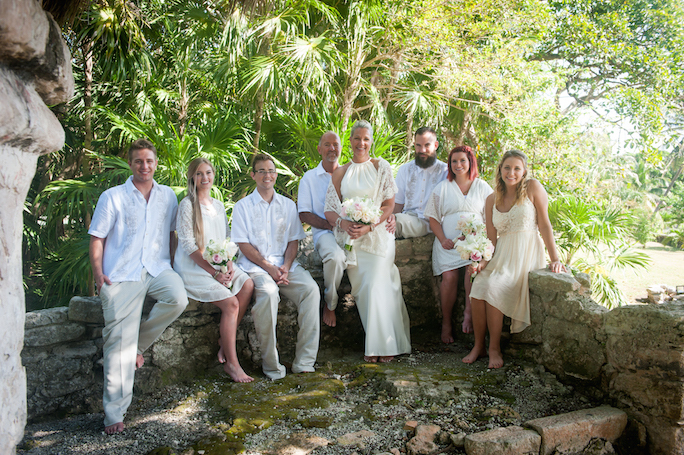 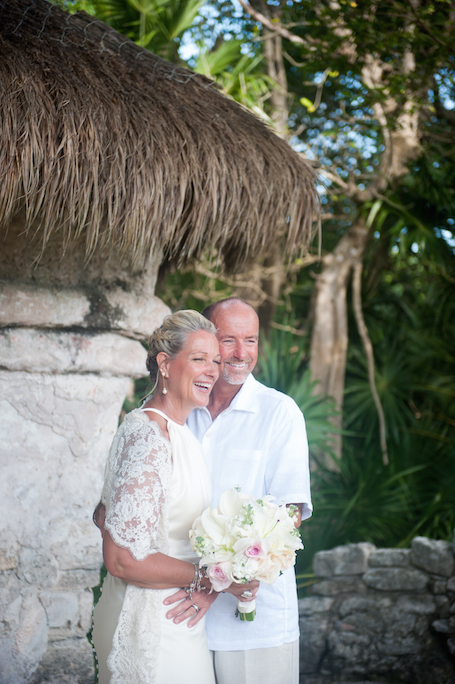 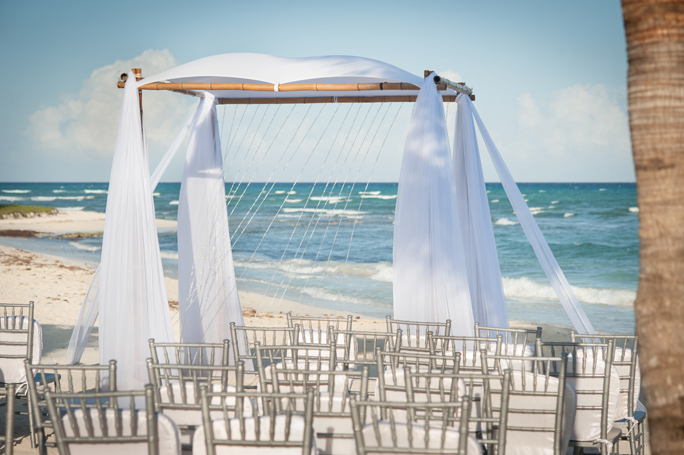 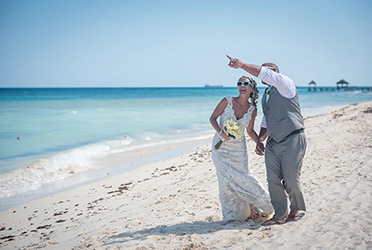 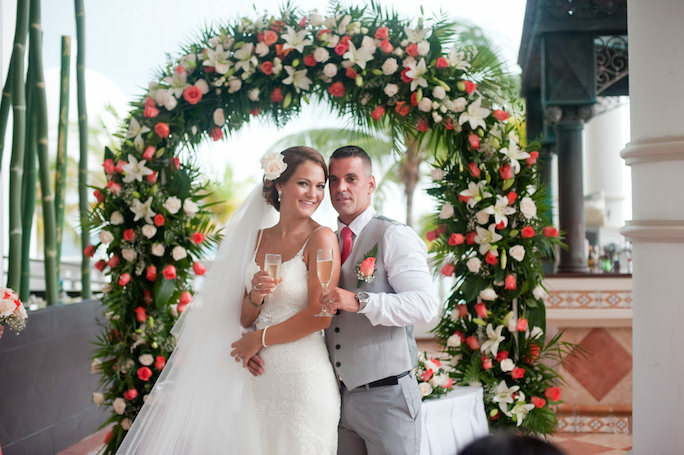 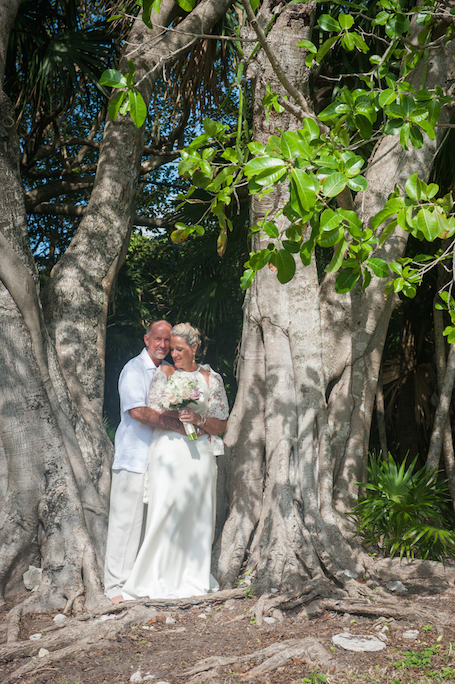 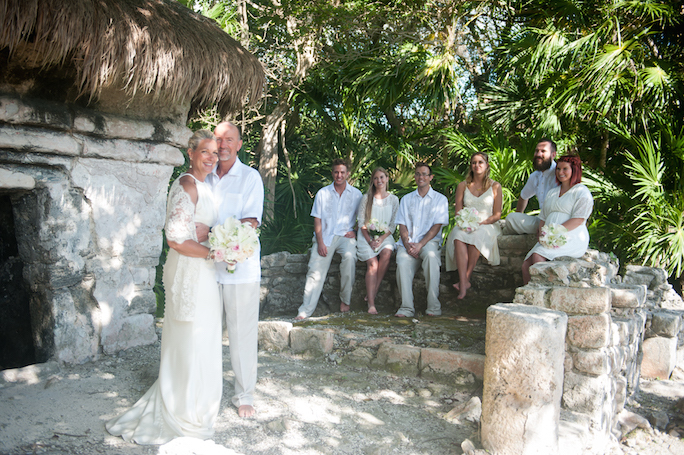 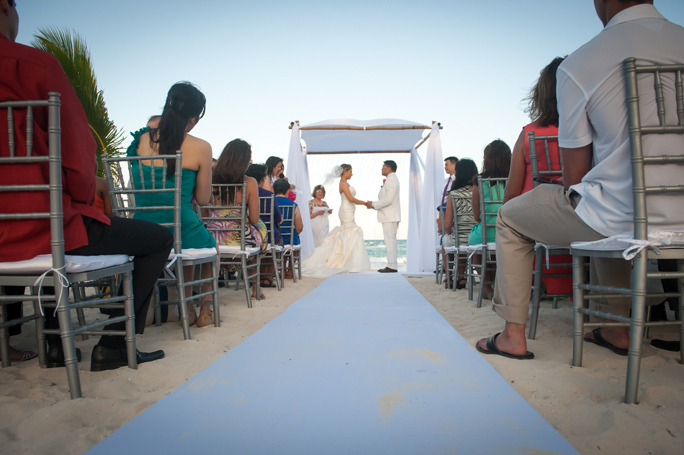 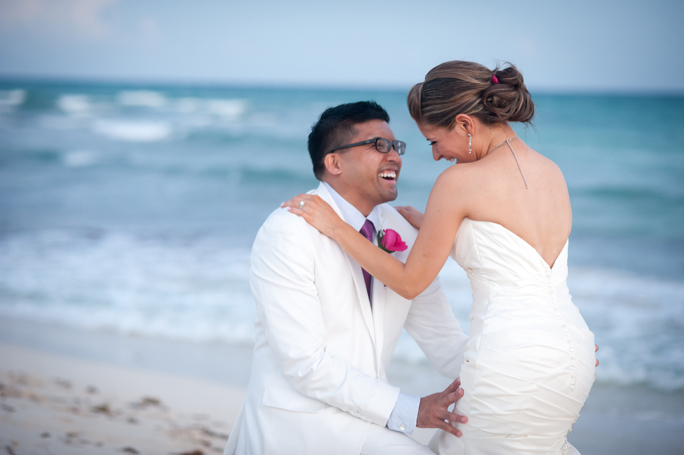 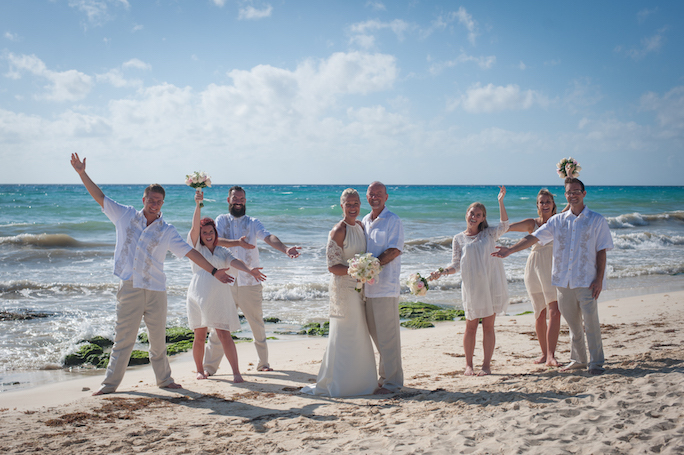 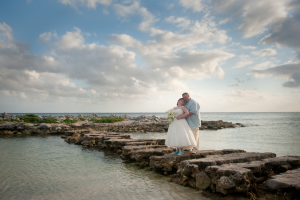 White sand of the tropical beach and blue waters of the Caribbean ocean created perfect background for this romantic ceremony and for the portraits of the couple after the ceremony.